The Seattle startup, spun out of Providence Health & Services, aims to help doctors easily deliver digital services to patients. Health-care technology startup Xealth has reeled in $8.5 million in funding, just months after it spun out of Providence Health & Services. The Seattle company aims to help doctors easily deliver digital services to patients. Xealth is led by Mike McSherry, co-founder of fast-texting keyboard app Swype. After Swype was acquired by Nuance Communications for $102.5 million in 2011, McSherry joined the buyer for a couple years before leaving and eventually joining Providence Health & Services as an entrepreneur-in-residence. McSherry and a large contingent of the former Swype team came up with the idea for Xealth, and developed the company within Providence. It spun out in January, and now counts Providence as one of its early customers. 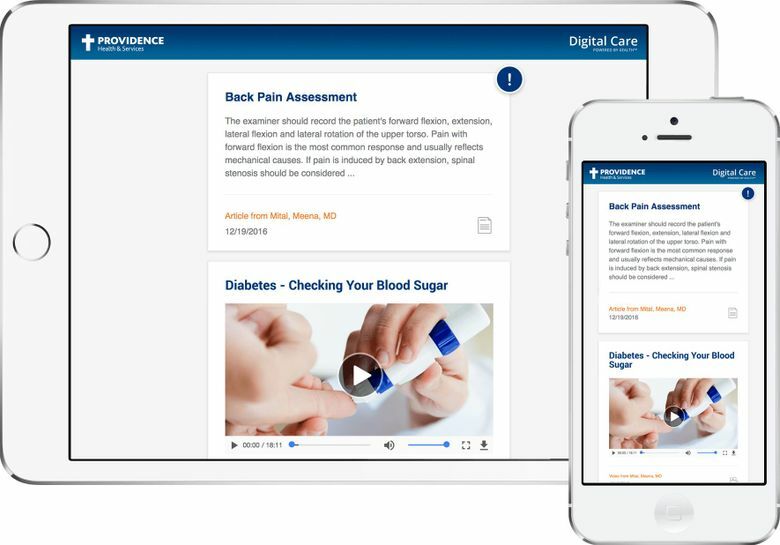 Xealth makes it possible for doctors to send patients relevant articles, device information and videos about their treatment plans within existing communication systems, such as MyChart. Articles and information now are often printed off for patients. With Xealth, health-care professionals can see if patients opened the information, to see how well treatment recommendations are being followed. Xealth joins a growing group of companies trying to automate the health-care industry. Xealth’s first funding round was led by Menlo Park firm DFJ Venture Capital. DFJ partner Bill Bryant, who is based in Seattle, was also an early investor in Swype. Initially, Xealth is designed to work with digital services from Epic Systems, a large health-care software company, which makes MyChart. Xealth soon will work with other systems, McSherry said.